Martha Berry is writing to Fanny Morris, who has recently fallen ill, offering her condolences. She says she thinks often of Miss Morris, her sister, and Mrs. Rice. 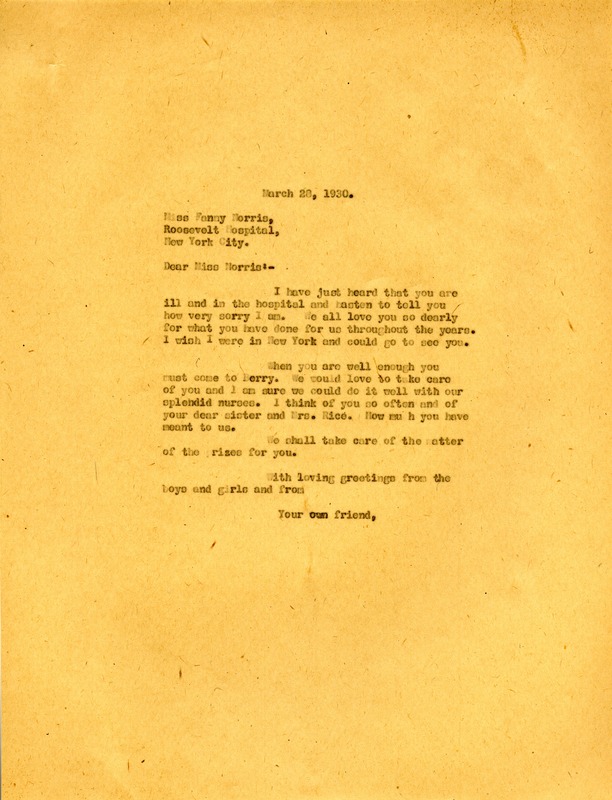 Martha Berry, “Letter to Fanny Morris from Martha Berry.” Martha Berry Digital Archive. Eds. Schlitz, Stephanie A., Chelsea Risley, Bailey Brady, et al. Mount Berry: Berry College, 2014. accessed April 20, 2019, https://mbda.berry.edu/items/show/13562.